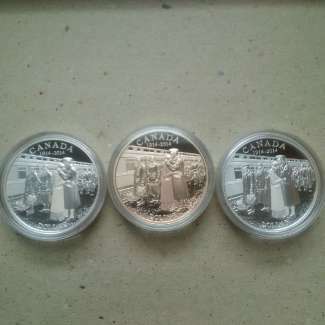 Purchased three 2014 proof silver dollars and one of them has a pink tint on the obverse side only. The edge and front of the coin are a nice silver same as the other coins. Any ideas? Value? I was told that it is because it was displayed in the sunlight prior to selling....anybody ever experience this?